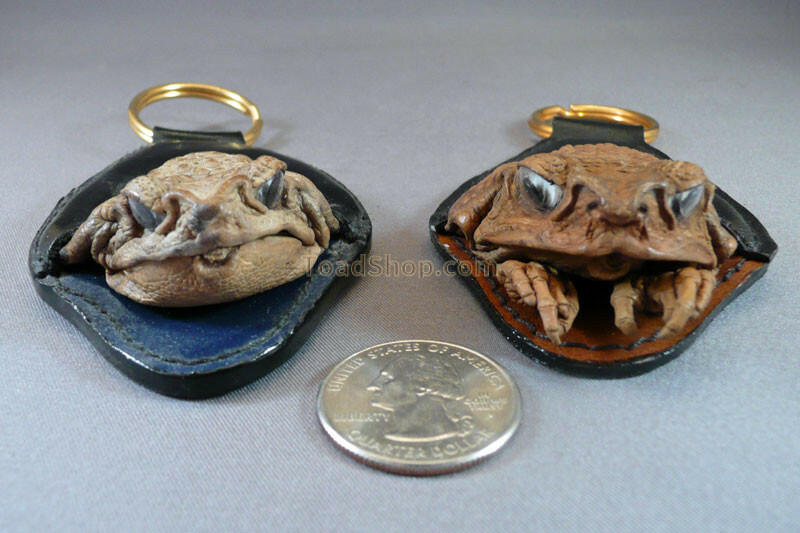 Unique leather-backed key fob adorned with an Australian Cane Toad head. This key fob can be ordered with or without hands. 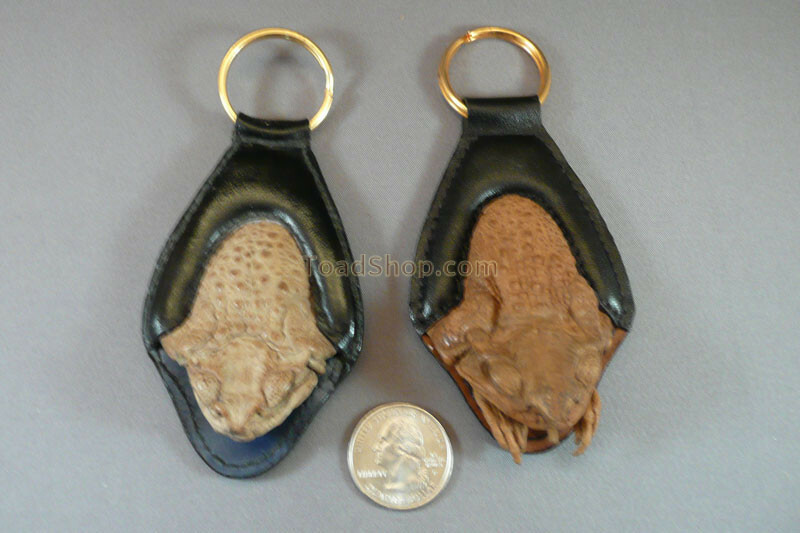 Straight from Australia, this is a high quality leather key fob adorned with a Cane Toad head. As with all of our products, each toad has a different personality. Either key fob will be certain to raise an eyebrow and create a conversation.